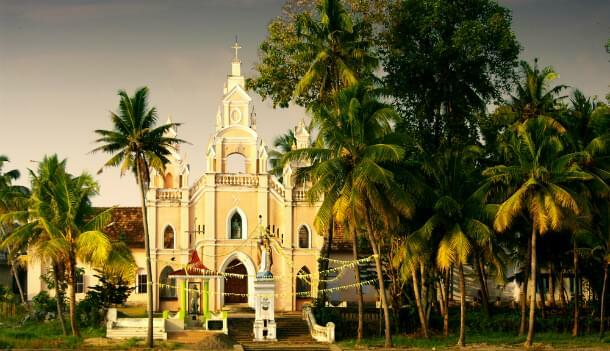 Its idyllic coastline, tropical climate, year-round festivals and relatively unknown status among tourists makes the Indian state of Kerala a near-perfect destination. Among the area’s appealing attributes are miles of tranquil beaches, myriads of ecotourism activities, unique local celebrations and access to ancient Ayurvedic healing practices. The backwaters in Kerala are a system of interconnected lakes, lagoons and canals that stretch along the Arabian Sea coast. You can explore them on a rented houseboat, fully equipped with everything you’ll need to be comfortable while traveling the peaceful waterways surrounded by coconut groves, banana plantations and yam and tapioca fields. Munnar, a hill station and village in Kerala, has massive tea plantations and a tea museum that makes it a paradise for tea lovers. The area also has dense forests filled with exotic plants and animals. For climbers, there’s Anamudi—the highest mountain in South India. Periyar National Park, also nearby, offers 30-minute elephant rides throughout the year. Ayurvedic health specialists in Kerala practice the oldest healing system in the world. Kerala’s humid, temperate climate aids in making Ayurvedic treatments more potent and effective. 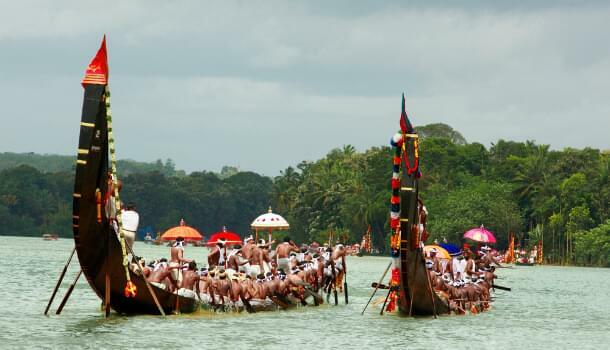 Kerala is also a place of numerous year-round events and festivals. Each temple in the state is dedicated to a different god from Hindu mythology, and they all have unique legends and festivals. 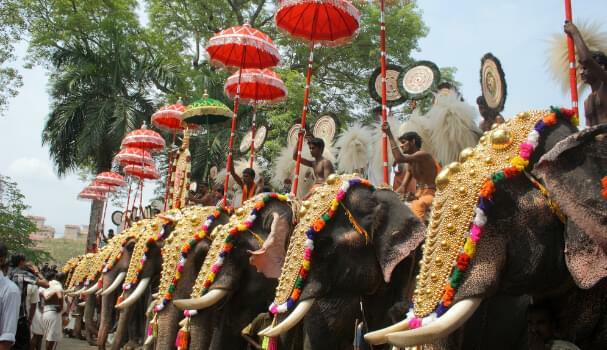 Elephants are an important part of most of the celebrations, and they are considered to be essential to the local culture and traditions. There are three international airports in the state of Kerala: Cochin, Trivandrum and Calicut. You can get to any of them with miles from major U.S. airline alliances. Cochin Airport, located in the city of Kochi, is the busiest and largest airport in Kerala. It is the fourth busiest airport in India after Delhi, Mumbai and Chennai. AAdvantage miles and the oneworld alliance: The only oneworld alliance member that flies to Cochin is Qatar via Doha. Gulf Air and Qatar Airways also fly to Cochin, though, and they are partners with American Airlines. Gulf Air’s flights are routed through Bahrain, and Qatar flies through Doha. MileagePlus miles and the Star Alliance: Air India is the only Star Alliance member that flies to Cochin. Its flights are routed through Delhi and Mumbai. Jet Airways, a United partner, also flies to Cochin via Mumbai. SkyMiles and the SkyTeam: Saudia flies to Cochin via Dammam, Jeddah and Riyadh. Trivandrum Airport is the second busiest airport in Kerala. It’s located two miles away from the city of Thiruvananthapuram, and ten miles away from Kovalam Beach, one of the most popular seaside resorts in the area. No SkyTeam member currently flies to Trivandrum, but the other alliances do. 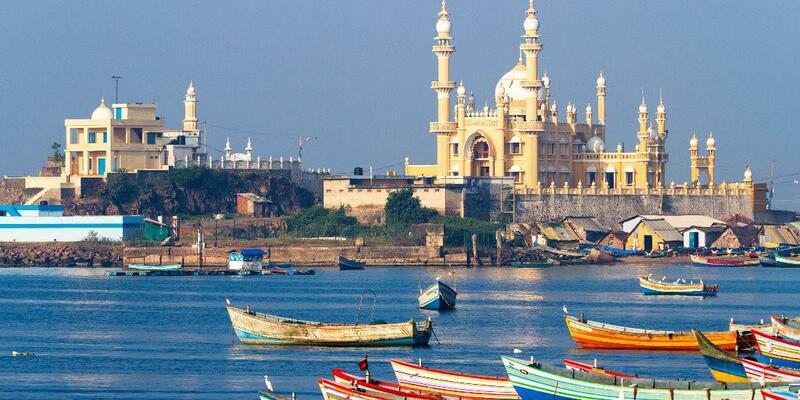 AAdvantage miles and the oneworld alliance: Qatar Airways flies to Trivandrum via Doha. Etihad and Gulf Air, both American Airlines partners, fly there via Abu Dhabi and Bahrain, respectively. MileagePlus miles and Star Alliance: Air India flies to Trivandrum via Delhi and Mumbai. United’s partner Jet Airways flies there from Mumbai. Calicut Airport, also known as Karipur Airport, serves the cities of Kozhikkode and Malappuram. It’s the smallest airport in Kerala. AAdvantage miles and the oneworld alliance: Qatar Airways flies to Calicut via Doha. American’s partner Etihad flies there via Abu Dhabi. MileagePlus miles and the Star Alliance: Air India flies to Calicut via Delhi and Mumbai. Jet Airways, a United partner, flies there via Mumbai. SkyMiles and the SkyTeam: Saudia flies to Calicut via Dammam. The redemption rates to all three airports in Kerala are the same. Coach award tickets will be slightly cheaper under the new program, but business will be slightly more expensive, and first class will cost a whopping 50,000 miles more.